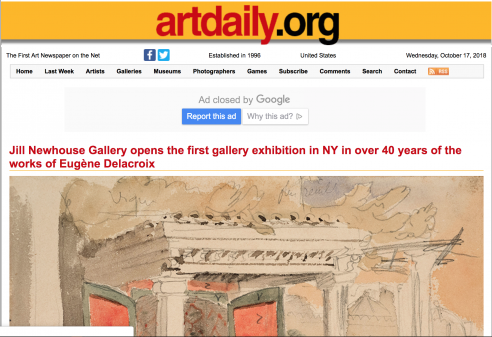 This show will be the first gallery exhibition in New York of the works of Eugène Delacroix in over 40 years. 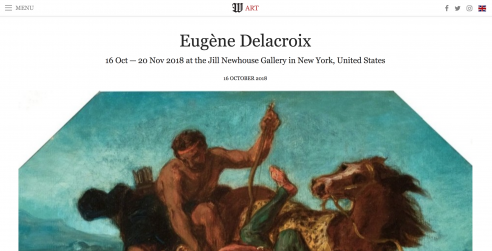 On view will be a diverse selection of 40 works in oil, watercolor, pastel, and various other drawing media showing the principal themes and aesthetic concerns of Delacroix’s extraordinary oeuvre. 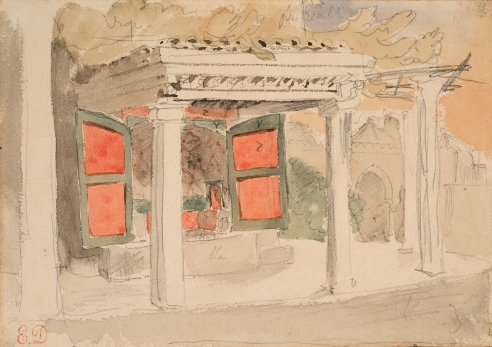 Orientalist subjects appear in several rare watercolors from the artist’s seminal North African journey of 1832. Spiraling figures and gyrating wild beasts are portrayed with Delacroix’s unique gestural draftsmanship. 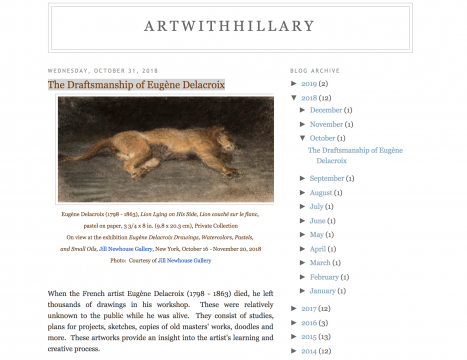 Ecorchés, or flayed anatomical studies, show the importance of the traditional artistic training he received, while revealing Delacroix's genius in creating compositions. Copies after Rembrandt, Rubens, and Goya point to Delacroix’s lifelong admiration for the masters of the past and his research into the lessons they offered. 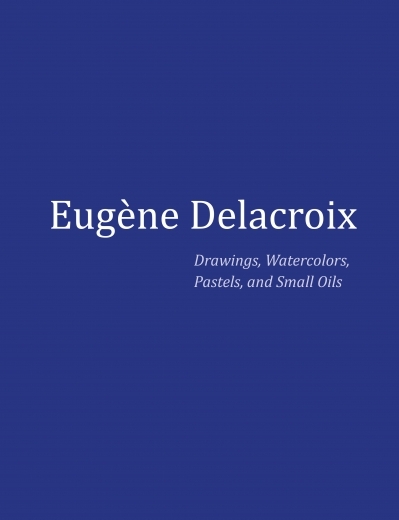 Included as well are preparatory works for some of the landmark projects of Delacroix’s career: drawings for illustrated books by Goethe and Shakespeare, and compositional sketches for the monumental paintings decorating the Paris state buildings such as the Palais Bourbon, Hôtel de Ville, and Palais du Luxembourg. 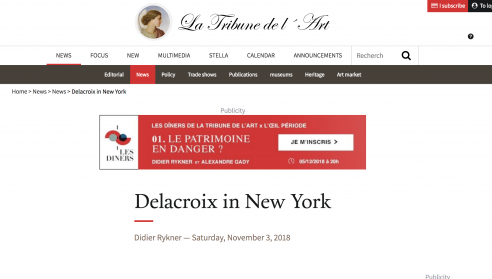 A fully illustrated digital and printed catalogue will be available October 9th with esay by Arlette Sérullaz, Director of the Musée Delacroix, Paris from 1984-2006; honorary Curator, Department of Graphic Arts, Louvre Museum; and noted specialist in European 19th century drawings.